If you’re trying to get into social media management—whether it’s for your company, someone else’s company, or simply to manage your own personal brand—you must read this. 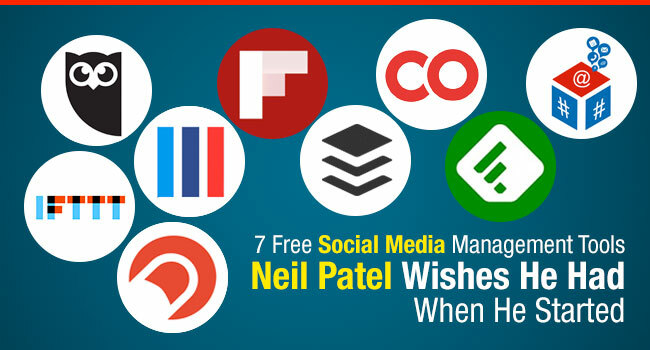 The 7 social media management tools I’m about to share with you are tools that even someone like Neil Patel wishes he had when he first started. Not only are they very helpful, but they’re also free. That’s right, they’re all free! While most of them do offer additional paid features, there’s no need to worry. I’ll explain how you can use the free features of these tools to grow your social media presence and accomplish your goals. In addition, I will share with you some of the personal tips I use on a daily basis. These tips have helped me to grow my followers in a short amount of time, and benefited many of the companies I managed in the past. Keep in mind that some of these social media management tools are not going to give you thousands of followers instantly. That’s unrealistic and is something that requires a long period of time to accomplish. The following 7 tools are simply a way for anyone to manage multiple social media accounts while at the same time reducing their amount of hours spent on social media. These tools are also for beginners who are just starting out and need to learn the basics. There’s a number of much more advanced tools out there, but they do often carry a heavy price tag. When you’re first starting out in social media management, you don’t need elaborate tools because, let’s face it, you just don’t have the money. Moreover, you need to minimize your hours spent doing this because you probably have many other important things to handle. With that said, let’s dig in! 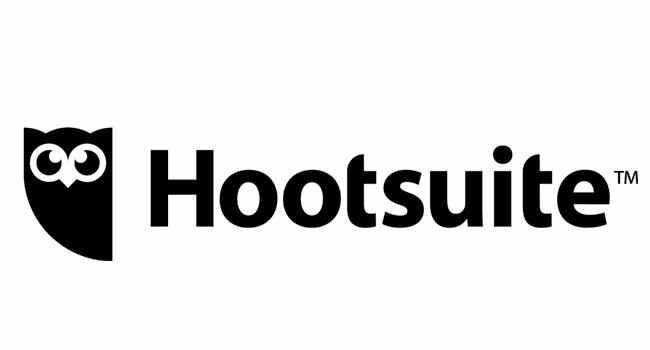 Hootsuite has been around forever and is definitely a great tool to use. It allows you to monitor and manage multiple social media platforms all in one place. This tool is also a web-based application, meaning you can open it in any browser on any computer to start managing your social media accounts whenever and wherever you want. The scheduling feature is really the star time saver here. This feature allows you to schedule multiple posts to be published on different accounts in the future. If you’re like me and like to follow a schedule throughout your day, this allows you to set a dedicated amount of time to just scheduling valuable information you want your audience to read later. Hootsuite also has a number of third party apps, and I encourage you to explore and find the ones that best fit your needs. Keep in mind that some are free, but others require a small fee. My favorite is the Instagram app because it allows you to monitor, like, and comment on your Instagram account. I should point out that it does not allow you to post through Hootsuite because Instagram doesn’t allow many, if any, third party apps to post directly. Still, at least you’re able to keep an eye on your IG feed and not miss a thing. Furthermore, Hootsuite offers an iPhone app which is a great way to manage all of your accounts right from your mobile phone. This app makes it easy and convenient to always be on top of your social media activity, even when you’re on the go. If you’re wondering what the free plan offers vs the paid one, click here. I love Buffer because it’s simple and to the point. This tool allows you to schedule up to 10 posts for all major social media platforms including Facebook, Twitter, Google Plus, LinkedIn, and now Pinterest (free for 7 days). It also provides analytics for your posts and suggestion for various topics. Plus, Buffer offers the Awesome Plan which only costs $10/mo and adds a number of features such as scheduling up to 100 posts at a time. On the other hand, you have Stacker which has been described as “Buffer on steroids”. It’s essentially the same tool but with additional features. I would best describe it as a combination of Hootsuite and Buffer. It also offers a free plan with limited features, and a paid one for $10/mo. Check it out here. On top of that, these two tools offer a chrome extension which is probably one of their most valuable aspects. Why? I love to read articles related to my industry on a daily basis, and the minute I read something worth sharing with my followers and networks, I use the chrome extension to schedule a social media post. It’s really easy to use and convenient. By curating this type of content, you can help your brand or company position itself as an authority in your specific niche. It requires very little effort on your part and makes you exceptionally valuable to your audience. 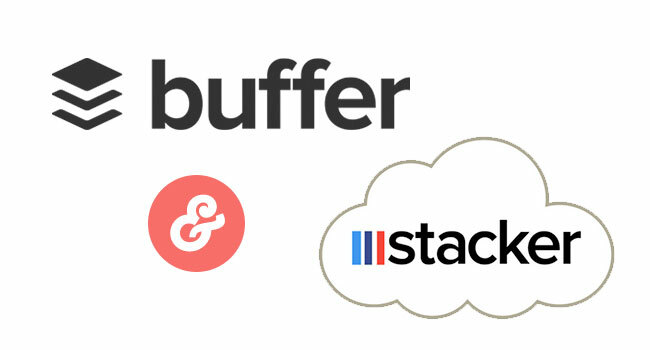 At the time of posting, Buffer currently offers a mobile app and Stacker is soon to come out with one of their own. If This Then That is another rather unknown tool that has proven to be incredibly useful. In fact, the more I use it, the more I fall in love with it. You get the idea. The recipes above are just a few examples from hundreds of available recipes that can be used not only for social media management but also for everyday life. I really encourage everyone to try it out. 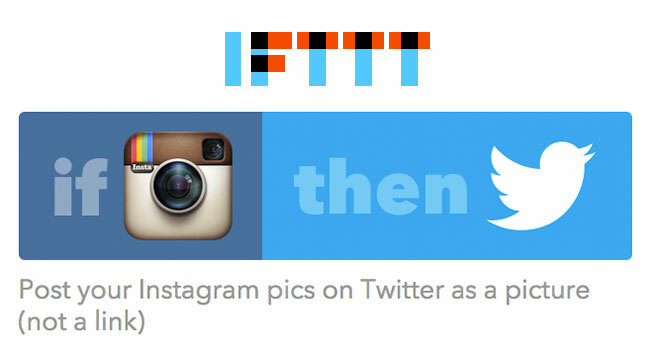 IFTTT is a true time saver. Crowdfire App is a great way to grow your followers on Twitter and Instagram, and is an invaluable tool for monitoring new followers and unfollowers. One of my favorite features of this app is the ability to target the followers of your competitor by simply inputting their Twitter or IG handle. This will allow you to see every single user that follows them. At that point, you can start engaging with those users by providing valuable information you already know they’re interested in. 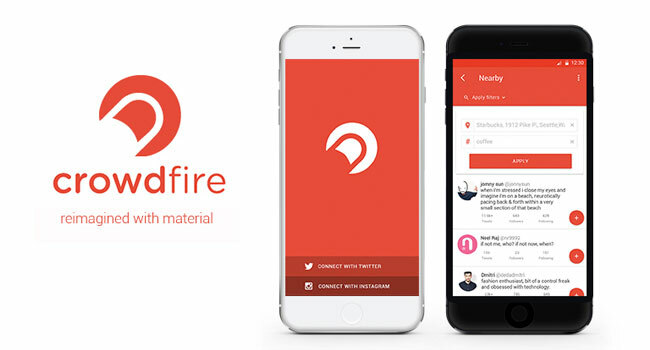 Crowdfire App can be used on a web browser, or you can download the mobile app. I love using both options for ultimate coverage. 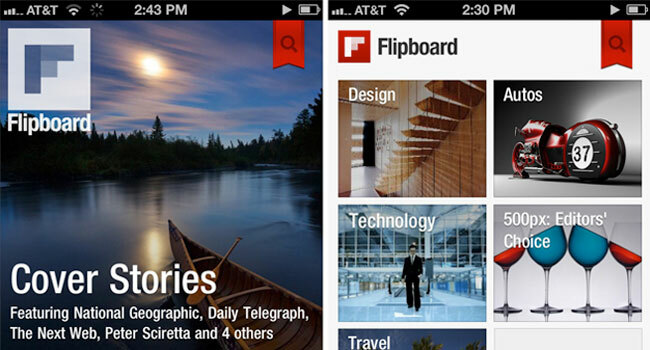 Flipboard and Feedly are fairly similar not only to each other but also to a number of other apps out there. The main way I use these tools is to find good content that is unique and specific to my industry, thus providing value to my audience. I’m going to be honest and say that I prefer Flipboard, and the reason is simple: this app is beautifully designed and is the one I’ve used the longest. It’s got a magazine-like interface with large images and bold titles, perfect for reading articles. I usually like to use it when I’m going to sleep and want to catch up on world news and some of my favorite topics like digital marketing, design, photography, and business. I kill two birds with one stone by doing this; I read interesting articles, and the ones that apply to my industry I can add to Buffer, scheduling them out to my different social media channels. Additionally, Flipboard recently made all content that was originally only offered through the mobile app available on their website. You can now simply login and access all of your custom feeds with articles only on the topics that interest you. I love it even more now. 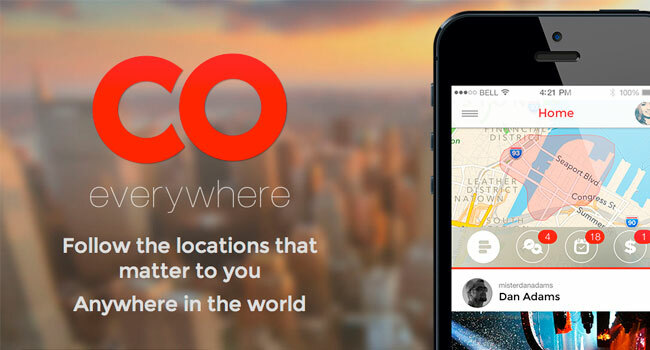 Co Everywhere is an app I don’t hear much about very often, but I really like it. This app allows you to pick a specific geographic location and see what kind of social activity is happening there at that moment. This is a very powerful app when you start thinking about all the possibilities it can provide. For example, imagine there’s a special trade show or convention related to your industry. With CoEverywhere, you have the ability to select the location of that event and see what everyone there is tweeting about and even look at the pictures they upload on Instagram. You can then start following these individuals and networking with them to develop valuable relationships that can later be turned into sales if you have a related item to promote. Tweet Jukebox has a primitive interface in my opinion, but I still really like the functionality of it. Though it’s only web-based, you can usually just set it and forget it. With this tool you can schedule a large amount of evergreen posts that will randomly be posted on intervals of your choice. Evergreen posts refer to post that are not time sensitive or that do not refer to a specific time or date. These posts can be inspirational quotes or perhaps links to your most popular blog posts. Another option could be a link to a product you sell that you constantly want to promote. The best part about this is that you can attach images to every post, and once that’s done, you don’t ever have to touch it again—unless of course you want to add new content. 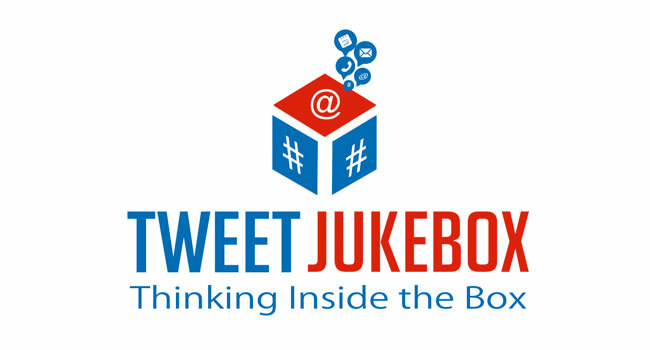 However, I must warn you to follow proper social media etiquette when using Tweet Jukebox. Misuse of this tool can really annoy your followers, and as a result you run the risk of losing them or losing all your credibility and trust. The social media tools mentioned above are just the tip of the iceberg among a growing number of other free and paid services. At this point there is no one tool that does it all, and quite frankly I’m happy about that. Every social media tool I listed specializes in a different area of social media management, and that’s why they’re the best at what they do. Sure, each one has competitors, but that’s also a great thing. This allows them to continue to innovate and come up with new features that benefit us all. Just to reiterate, if you’re a beginner and just now getting into social media management, I encourage you use and experiment with every single one of these tools. They have helped me tremendously in every aspect of social media management and I simply cannot recommend them enough. I’m curious to know which tools you think should have made my list. Please let me know by reaching out to me on Twitter or Instagram. I’m always there and will always answer back. Try me.